We love these guys, and you will too! 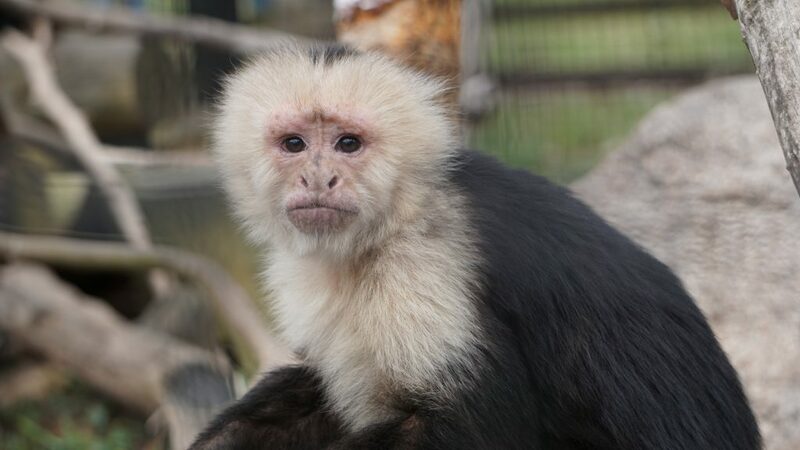 Capuchins have a tuft of hair on their head similar to a capuche worn by Franciscan monks, hence their name. They are omnivorous (eat both plant and animal matter, primarily fruits and insects), diurnal (active during the day), and are primarily arboreal (spending most of their time in trees). Capuchins move quadrupedally, or by using four limbs. Capuchins travel in an ordered, single line through the treetops. They communicate vocally, through facial expression, and through grooming. They can swim rather well. They have a poor sense of smell and use urine-washing (rubbing urine on hands and feet) to mark territory. Capuchins have an opposable thumb and big toe, as well as a partially prehensile tail. The molars are square shaped with thick enamel to help crack nuts. They have the most highly developed brain of the New World monkeys, and have been observed using weapons, tools, and problem-solving skills to adapt to their changing environment. The most famous relationship of man to the capuchin is that of the organ grinder. 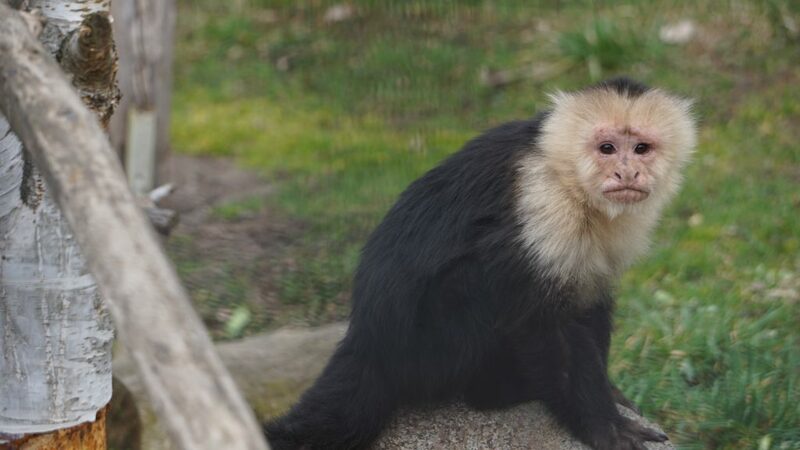 Capuchins are also used in research due to their intelligence, sometimes even placed with paraplegics to perform tasks. Capuchins are prone to habitat loss, as many other species are. Importation is now illegal to protect the wild populations.